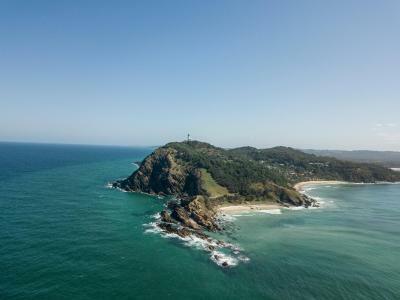 Lock in a great price for Byron Bay YHA – rated 8.9 by recent guests! The common areas are very nice and modern, with hammocks, sofas, a huge kitchen etc. and the bathroom was really clean. The room was kind of basic but enough for us and the one night we spent there. Staff was very friendly and helpful. My friends loved the pancakes! Appreciated the efficient staff who worked hard to clean and tidy the facilities. If there was a mess, it was due to irresponsible guests. This is a well run facility and the staff are eager to help with directions, activities and excursions. Location was perfect, close to town and the main beach! We loved the staff, very friendly, specially Ashley! And they always have a lot of activities for the guests. I stayed in a 4 bed dorm, and it was by far the most confortable I stayed at. 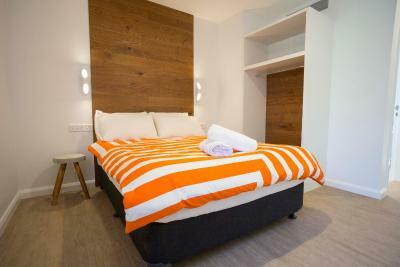 The beds are nice, there is a privacy curtain ( that to me changes everything in a dorm) plug & light at each bed. Everything is new, clean and modern. The kitchen is a nice place to hang out, so is the swimming pool. 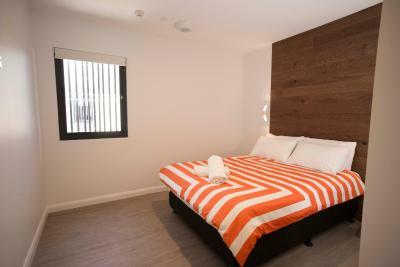 Location is just perfect near the greyhound bus stop, all the shops and less than 10 min walk to the beach. 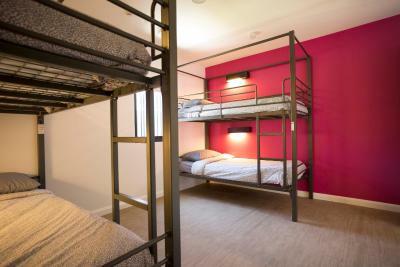 It was my favorite hostel of my whole trip in Australia. It was clean, updated, had a hip design with funky chairs and graffiti art. Nice open layout. 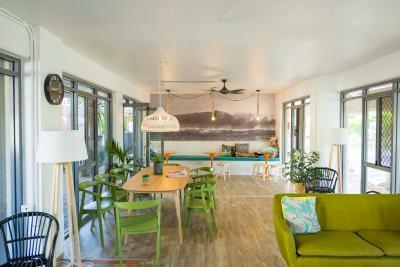 It has a pool, lots of quiet chill out spaces, and surfboard & bike rentals. I had a single room with a private bathroom and I felt like I was at a nice hotel. Awesome location, great staff and kitchen area! Walk to the light house as a plus! 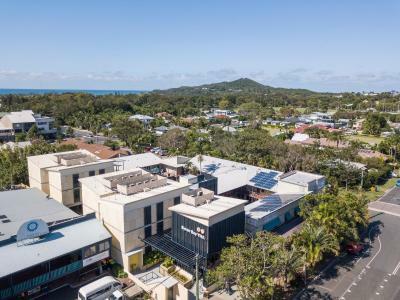 Byron Bay YHA This rating is a reflection of how the property compares to the industry standard when it comes to price, facilities and services available. It's based on a self-evaluation by the property. Use this rating to help choose your stay! 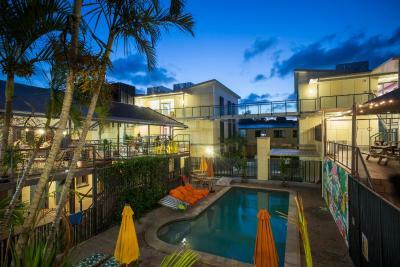 Located in Byron Bay town center, Byron Bay YHA offers backpacker accommodations just 1,300 feet from Main Beach. It features an outdoor swimming pool, a tropical garden and games room. 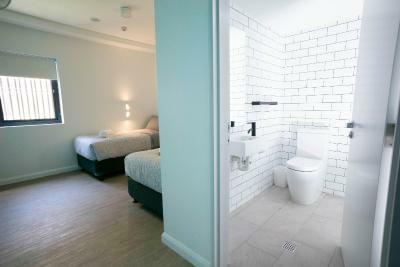 Guests enjoy free WiFi in communal areas. 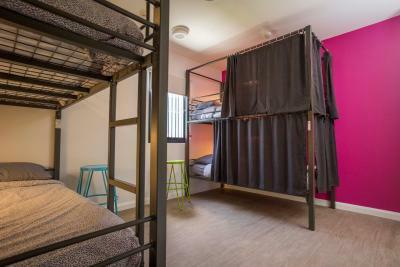 The extended boutique-style hostel features air-conditioned, private and share rooms with attached bathroom. Guests can relax in the renovated outdoor dining area or make use of the extended kitchen and BBQ facilities. Guests can borrow surfboards and bodyboards. Luggage can be securely stored in the locker room. 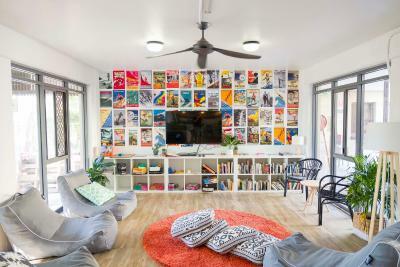 Contemporary artworks and graffiti walls by Australian artists can be enjoyed throughout the hostel. Guests can enjoy free off road parking or secure parking for an additional charge. 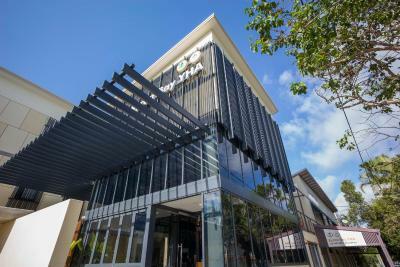 Byron Bay YHA is located 500 feet from the coach terminal. It is less than 5 minutes’ walk to bars, cafes and restaurants. 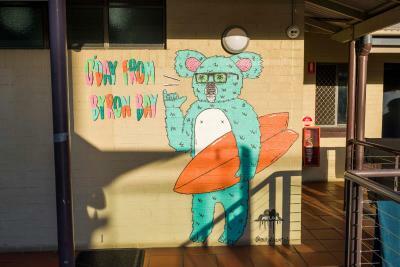 When would you like to stay at Byron Bay YHA? 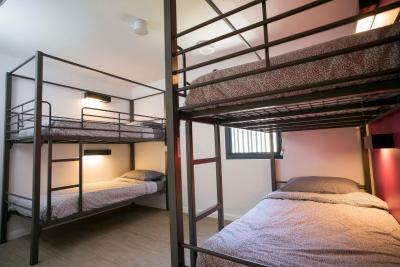 Please note that the rate is for 1 person in a single bunk bed. 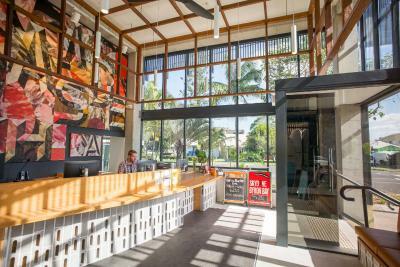 House Rules Byron Bay YHA takes special requests – add in the next step! Byron Bay YHA accepts these cards and reserves the right to temporarily hold an amount prior to arrival. 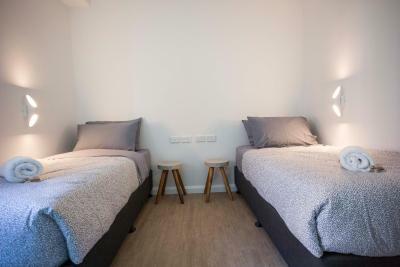 The rooms had the minimum - no plugs at each bed, no separate light for each bed (compared to the pod capsule hostels in other places/cities for the same price). So whenever one person went to bed (really early for the other lady in our room), we had to unpack, undress, make ourselves ready in the dark with our flashlight on the mobile phone. Location and staff were great! Our room was really nice, nicer then we had expected. The bed was very comfy, and there were some curtains which is really great. Then the place is just so cool ! You can do yoga for 5$, the swimming pool is great, and there is few paints on the wall which really give a life to the place ! The staff is doing an amazing job. Everything! Especially curtains on the bed. It’s just beyond nice to have the choice of privacy! 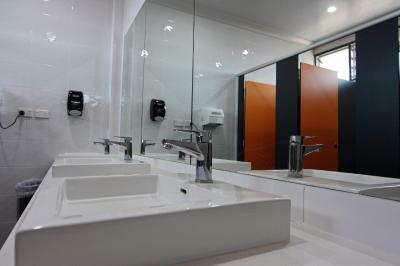 Bathrooms were amazing too. Hreat and very clean facilities, friendly and super helpful staff. 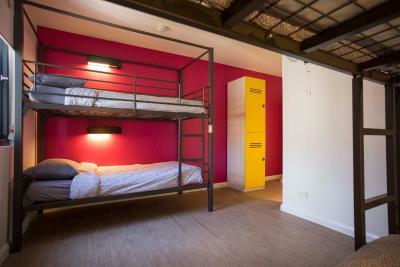 Amazing hostel - They had plug sockets and USB charge sockets in the lockers! So you could charge your electronics securely. The bunks had a light, another plug socket, and little curtains around the bunk so you had privacy. I stayed here a week in a 4 female dorm, which also had effective air con, and was very comfortable. Great location, right on the edge of all the action, only a couple minutes walk from Railway pub too. Also appreciated the big kitchen. The room has too much small window. Bathroom was covered in sand. Price to bus to Nimbin was expensive, so we didn't go. Room was small but clean. Location was great and parking was reasonable. Staff where very helpful. Extra activities like busing to Nimbin would of been fun. Kitchen needed more supplies and space. Great free tours during the day, organzied activities, BBQ/pancake mornings every day in the kitchen, perfectly well located, staff incredibly friendly and helpful. 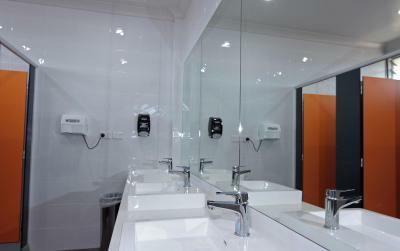 The private room and bathroom were very clean. Evening vibe is great in the hostel. Loved my stay there and would definitely come back again!